The CSL playoffs will start with an exhilarating matchup as league toppers Cedar Stars Academy and champions NY Greek American meet in the first semifinal on Wednesday at 9:30 p.m. at Capelli Sport Complex. Cedar Stars ended the regular season with a 14-1-3 record while scoring the most goals in the regular season in the modern era of the league, 68, and conceding the least goals this campaign, 12. The club notably went on a record breaking 12-match winning run and set the record for the longest consecutive clean sheets, not allowing a goal in 10 straight games. As for NY Greeks, they frequently played without their best starting XI and ended the season in fourth spot via a 10-4-4 record. NYGA is the lowest scoring team going to the playoffs, tallying 38 goals and they allowed the most goals, 21. However the two times the teams met it ended in a draw, which makes NYGA the only team Cedar Stars didn’t defeat during the regular season. “It will definitely be a very tough game,” Cedar Stars center back Hani Nasr admitted. “We know we are going up against a tough opponent and will have to be extremely sharp to get the result we want. Cedar Stars Academy defender Hani Nasr during a game with Glover's Spice Boyz in Grenada. Last time Oliver Papraniku’s men defeated the Greeks was on Oct. 30th, 2016. The Greeks are the latest winners of this fixture, rolling past the Stars 5-1 home at the Metropolitan Oval on April 2nd of last year. NYGA went on to qualifying for the playoffs over Cedar Stars by goal differential that season. CSA head coach Papraniku revitalized his side after failing to qualify to the playoffs, bringing in a load of former top-notch college players and ex-professionals. Despite the rejuvenated side’s unreal goaltally, defense has been the backbone of their success. “We have been successful this year by controlling the tempo of games and being tough at the back in order to let our attacking talents do what they do best,” Nasr said. The Stars’ defense starts with former Paraguay Primera Division keeper Bryan Lopez in goal, an experienced shotstopper with first-rate positioning. In front of Lopez, Papraniku rotated Nasr, 2015 MLS signing Matthew Jeffery, 2016 MLS draftee Mitchell Lurie, All-NPSL 2016 defender Chris Riordan and ex-Poland second division player Samuel Gehman. And seven-year MLS defender Hunter Freeman is also expected to play on Wednesday. On the offensive end, CSA top scorers during the regular season were Christopher Katona, who scored a league best of 26 goals, Michael Olla with seven goals and former New York Red Bulls youth player Walter Calderon, who netted six times in just the second half of the season. Former MLS player Dilly Duka, who recently netted three goals in two Open Cup games for F.C Motown, is expected to make his debut for Cedar Stars in the semifinal. As for the Greeks their top attacking players during the regular season were ex-New Zealand U-20 player Colin Murphy, former Hofstra University captain Tyler Botte and Molloy College season scoring record holder Daniel Massey, who all racked five goals each. Notwithstanding having great scoring threats, as mentioned, NYGA is the least scoring playoff team. Nasr noted that he and his fellow defenders don’t focus on their opponents’ statistics. “Our defensive unit doesn’t pay attention to the statistics of who we are playing against,” he said, “so the fact that the Greeks are the lowest scoring team entering the playoffs doesn’t mean much. We always know which players will be a threat but we mainly try and devote our focus on what we do well instead of what our opponents do well. On their defensive half, NY Greeks own one of the most in form keeper in the league, Bradley Johnson, who put up several breathtaking performances in the net including a 12-save display versus CSA, for which he was nominated Player of the Week for. NY Greeks left back Joseph Ruesgen is the only defender who won Player of the Week this season. 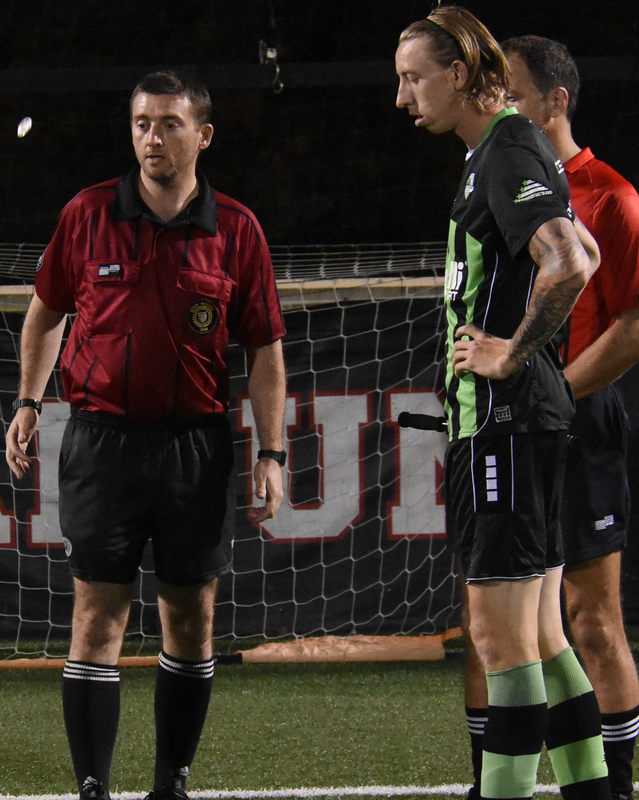 The Queens based-club were also the last playoff seed last season nevertheless they blanked last year’s regular season champions Lansdowne Bhoys 1-0 before going to win the final versus NY Pancyprian Freedoms. 1. Both teams reached the final the last time they competed in the playoffs—NY Greeks in 2017 and CSA in 2016. 2. Cedar Stars haven’t defeated NY Greeks in the CSL in a year and seven months. 3. Fourth placed NYGA ended the regular season 11 points below first placed Cedar Stars. Last season, NY Greeks downed league toppers Lansdowne 1-0 in the playoffs, whom they finished the regular season 14 points below. 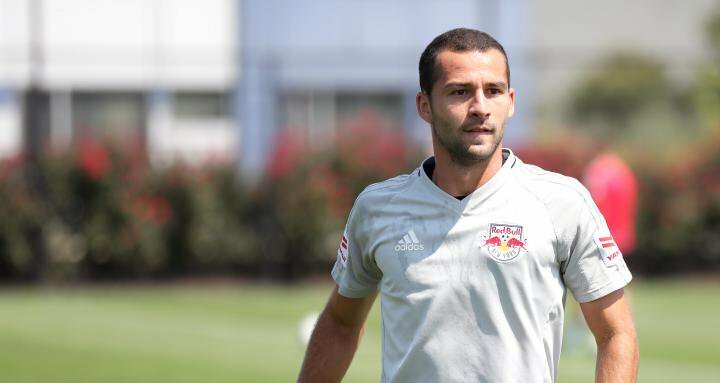 Cedar Stars Academy midfielder Dilly Duka in his time with New York Red Bulls. Former MLS midfielder Dilly Duka will be making his debut for Cedar Stars. 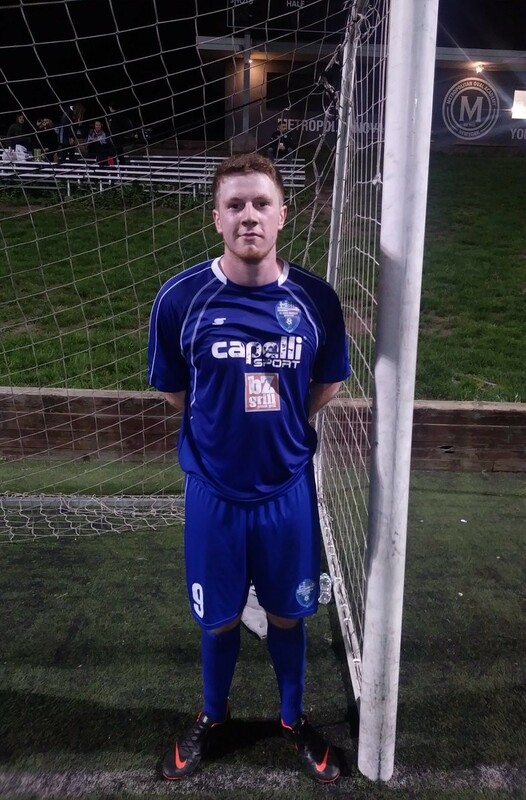 Duka recently scored three goals in F.C Motown’s two Open Cup games. NY Greek American forward Daniel Massey. Despite joining the team during the winter break, 21-year-old Daniel Massey leads the team in scoring with five goals.